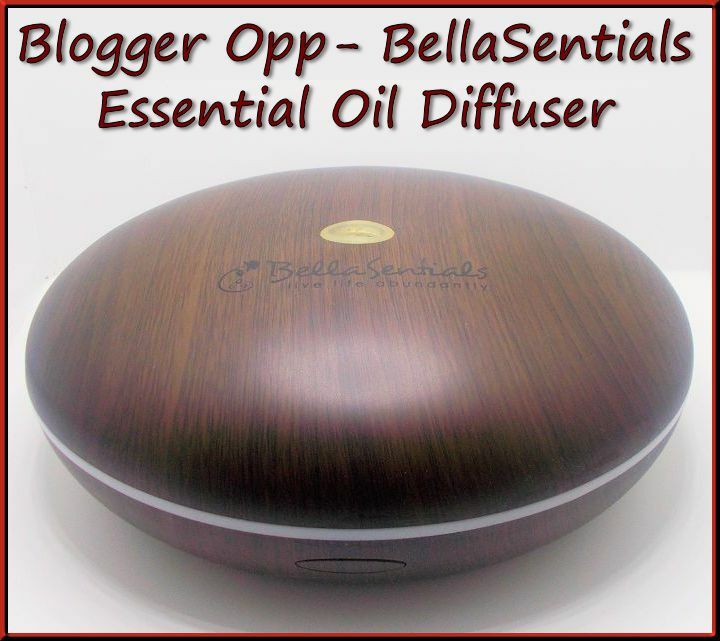 BellaSentials Esential Oil Diffuser Giveaway! BellaSentials Oil Diffuser Giveaway Hosted by Primitive Gypsy. Co-Hosted by Mommabears Book Blog, Reviews by Lizzie, She Reviews and Surviving 5 Kids Free and Paid Options are AvailableGiveaway Dates: 2/8 12:01 AM EST through 2/17 11:59 PM ESTSign Ups Close: 2/5/16 11:59pm ESTPrimitive Gypsy is looking for bloggers to help promote the BellaSentials Essential Oil Diffuser Giveaway. Each blogger will get one free link (Twitter, Facebook, Instagram or Youtube) for sharing the announcement and sharing 3 times during the giveaway.One reader will win a BellaSentials Bamboo Essential Oil Diffuser of choice. (Choices are Dark or Light) The BellaSentials Bamboo Diffuser holds up to 400ml or water and can run up to 12 hours. It can diffuse and disperse all essential oils and provide wonderful health benefits. BellaSentials offers a 1 year warranty on the Diffuser and stand behind them. They are a wonderful company to work with. MSRP is $69.97 Please Sign Up for The Giveaway on the Form HERE!